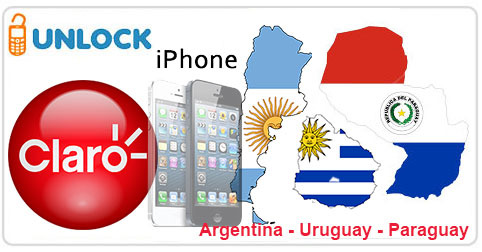 Exclusively for UnlockBase server we are now able to offer a new service to unlock all iPhone from Claro Argentina, Uruguay, and Paraguay. Service is working in less than 4 business days (Monday to Friday) and support absolutely all iPhone from Claro as long as it’s one of these three countries, including the 6 and 6 Plus ! This is a new exclusive service from UnlockBase Server, all we need is the IMEI of your iPhone and it will be registered as “Unlocked” on iTunes server (Permanent Factory Unlock).